On Saturday, March 30, 2019 at 8:30 p.m. the City of Mississauga will join millions of people, communities, and businesses across the globe in switching off non-essential lights for one hour in recognition of Earth Hour. Turning off the lights is a symbol of our commitment to sustainability and the planet. 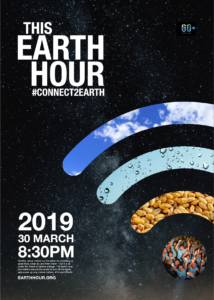 For more information about Earth Hour, visit the WWF Earth Hour website, join the conversation on social media using #CONNECT2EARTH.